Here are a couple of early 1970s EPs, the first of which is a slightly rubbish (noisy) pressing. 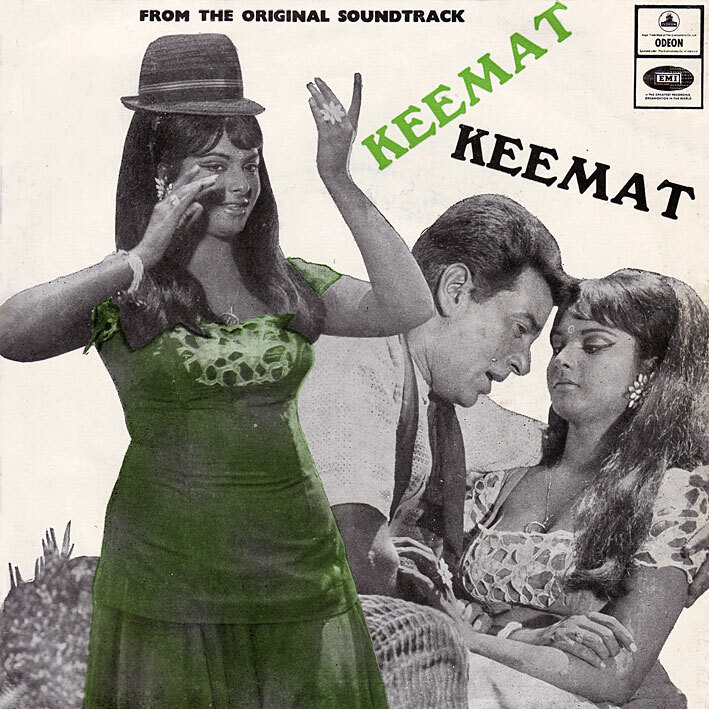 Luckily, 'Keemat' [review]  isn't the most essential record I've ever posted. 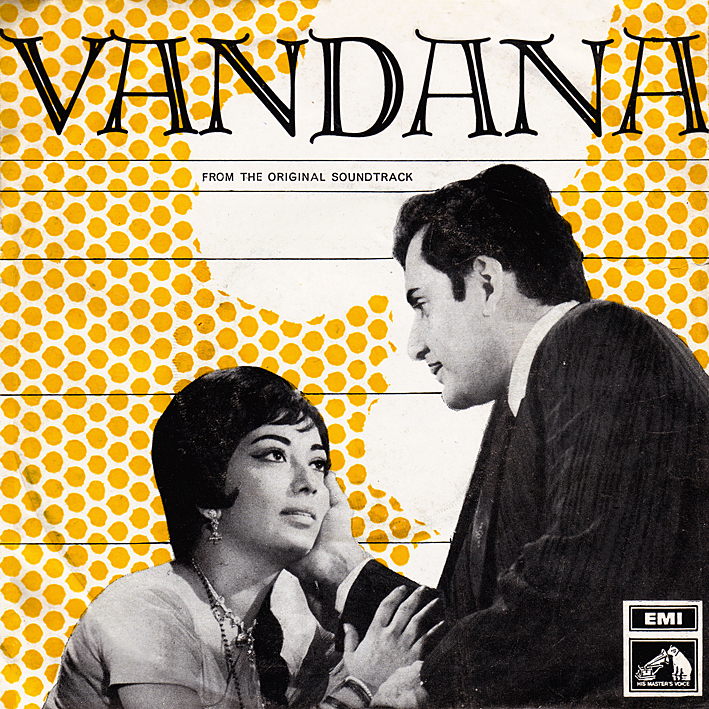 Don't get me wrong, it's nice, and it's hard not to be charmed by songs such as 'Rang Roop Ka Yeh Bazar Hai' and 'Main Ne To Pani Piya Tha' (I love Asha's yelps on the latter), but it doesn't excite me quite as much as many Laxmikant Pyarelal soundtracks a year or two down the line would do. Or maybe it's just that it pales when compared to 'Vandana'. I have over the years heard one or two Ravi songs that I've fancied but without really being convinced that he's a music director for me. So when I stumbled over 'Sochta Hai Kya' on YouTube and liked that a lot (who wouldn't? It's bright and breezy, super charming, summery folk-pop to die for), I decided to look for the soundtrack it was from, without expecting too much from the rest of it. Imagine my surprise in finding out it's not even the score's best song. 'Rut Hai Jawan' (which is) is essentially a remake of the Mexican standard 'Bésame Mucho'. Lovely as that song is, in many of its countless versions, I can't recall last I heard one I've liked as much as this. Ravi has rewritten the melody just enough to actually possibly improve it, given it a cool Merseybeat-ish backbeat (there are also versions of the song recorded by the early Beatles) and turned it into a superbly catchy pop song that I often find myself humming for hours on end. And, unusually for an EP, we get the full 6 and a half minutes. So what are the chances the record's third and final track is going to be any good? Guess what, 'Too Jo Bhi De' is gorgeous. Wow. I've seen but been unable to obtain a second EP containing more songs from the film (I'm unaware of any LP having been released); while I fear it might not be quite as good I'd still like to get my hands on a copy eventually. Thanks - I in fact have that as an MP3 already. I can't really share what I don't have due to them not being on the record, can I.
ok, pc brother i understood. thanks for reply.